Labor is rarely easy. But prolonged labor, also called a “failure to progress,” can pose risks to a mother and baby far beyond additional hours of contractions and labor pains. 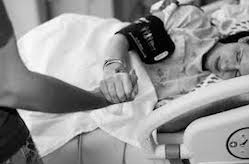 Prolonged labor can result in serious injuries and health complications for both the mother and child. When doctors and delivery room personnel fail to properly address a failure to progress, their negligence and the injuries that result can be the basis of a medical malpractice or birth injury lawsuit. The Washington DC birth injury lawyers at The Rich Firm, PC, many of whom are also licensed doctors, understand the risks posed by prolonged labor and the mistakes that lead to birth injuries or damage to the mother’s health. For first-time mothers, labor is considered “prolonged” if it lasts longer than 18 hours or if the baby is not delivered when within 3 hours after the cervix is fully dilated. If the mother has had previous pregnancies, labor is prolonged when she fails to deliver within 2 hours of complete cervical dilation. Symptoms of a failure to progress, beyond the child not being delivered, can include maternal exhaustion, back pain, elevated pulse rate, tenderness in the uterus, and ketosis. 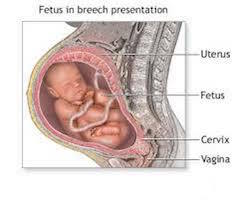 Failure to progress often occurs as the result of fetal malpresentation, including breech positions. A condition called cephalopelvic disproportion, characterized by a fetal head that is larger than the birth canal, as well as weak or inadequate contractions, may also result in prolonged labor. All of these complications can lead to sever birth injuries, including brain damage, cerebral palsy, learning disabilities, and developmental problems. Given these potential consequences, doctors and delivery room personnel need to carefully monitor the progress of labor and look for signs of fetal distress. They should monitor the timing and strength of contractions, as well as perform an ultrasound to determine the size and position of the fetus. If the fetus is not too large for the birth canal, and there is no significant malpresentation, then the physician may administer a medication known as oxytocin, which is a synthetic version of a naturally occurring hormone that aids in delivery. If the head is in the birth canal and is too large to pass through, the physician may use forceps or a vacuum to assist in the delivery. However, the misuse of forceps or vacuum extractors present their own risks of birth injuries. If you experienced a prolonged labor and you or your child experienced a birth injury or medical complication as a result, the failure of your doctor or delivery room staff to detect and treat your condition quickly and properly could be the reason. If so, those failures could be the basis of a birth injury or medical malpractice claim. The Rich Firm, PC, experienced birth injury attorneys serving Washington DC, can help. Several of our attorneys are also medical doctors who can in many cases very quickly evaluate whether your doctor was negligent, saving you the months and expenses normally associated with expert review of your case.